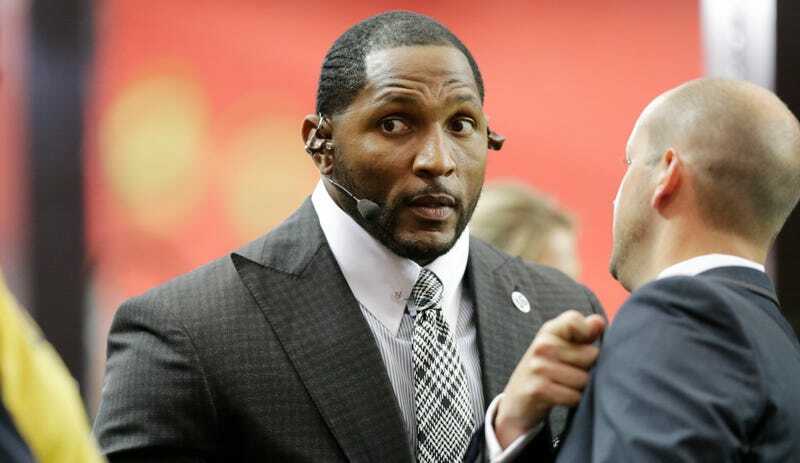 According to a report from TMZ, Ray Lewis is being sued by a horse. The Fox Sports host owns a Bourbon line called Ray’s Reserve (described as “a Gold Medal Bourbon that’s Smooth & Sophisticated with Hints of Vanilla & Caramel”), and earlier this year, the brand apparently agreed to sponsor 2014 Kentucky Derby winner California Chrome. Ray’s Reserve made a deal to provide $25,000 in cash and $25,000 in bourbon in exchange for Chrome’s jockey to wear some Ray’s Reserve pants at the 2017 Pegasus World Cup Invitational.